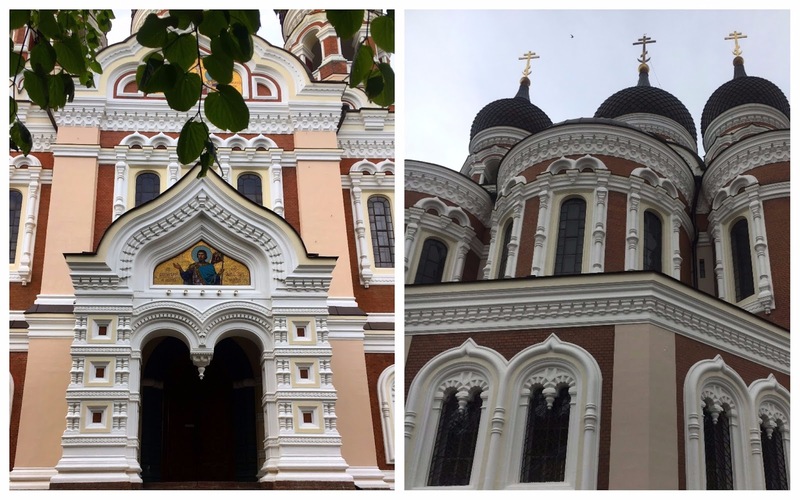 I would very much describe Tallinn as the must visit Capital of the Baltics. I’ve read a lot of people are of this opinion of the City of Tallinn, Estonia, much to the dismay of Lithuania and Latvia. Although I equally loved both Latvia and Lithuania euqally, during our Baltics road trip, I left the Baltic with Estonia firmly cemented in my mind as my favourite Baltic State. When I arrived in Estonia, we had come to the end of our Baltics Road Trip from Hamburg to Tallinn. The journey took us through five countries over 17 days and Tallinn became the last stop on our 1800km journey to The Baltics. 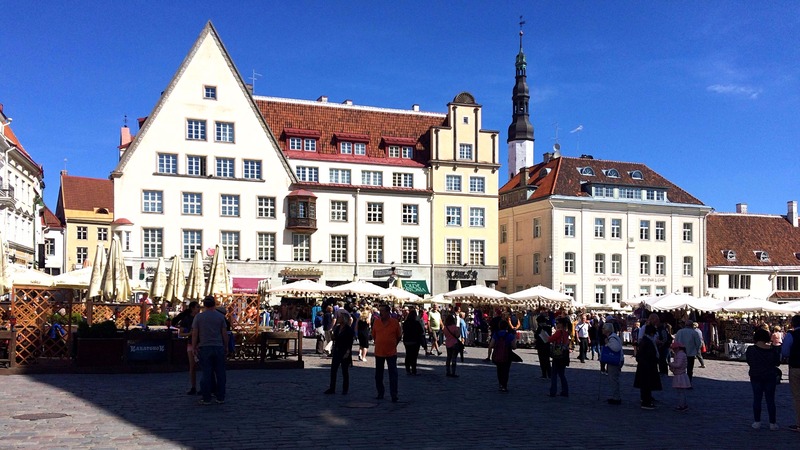 So, why is it that I loved Tallinn, Estonia so much? Was it because it has so much more to offer than the other two Baltic states? No, because it doesn’t. Was it because of its proximity to the ocean? No, but that always helps! Was it the locals? No, all the locals we met during our time in the Baltic countries were equally as welcoming and friendly. Was it purely down to my personal experience? Yes, it most definitely was. I entered into a bit of a romance with Tallinn, Estonia and here’s why. My time in Tallinn, Estonia was filled purely with fun and new friends, which for me always leaves a lasting fond impression of any destination in my mind. I’m a sucker for a good time and because of this Estonia would become my favourite of the three Baltic countries I’d spent my time in. Tallinn as a city is as culturally enriched as both of its Baltic brother’s Lithuania and Latvia, though its Old Town is slightly different. Tallinn is best known for its inspiring medieval centre which is something that isn’t prominent in the other two Baltic capitals and certainly one of the reasons Tallinn stands above its neighbors in my mind. The great architecture and backdrop of Tallinn’s medieval past makes the perfect setting for a fun filled European city break. 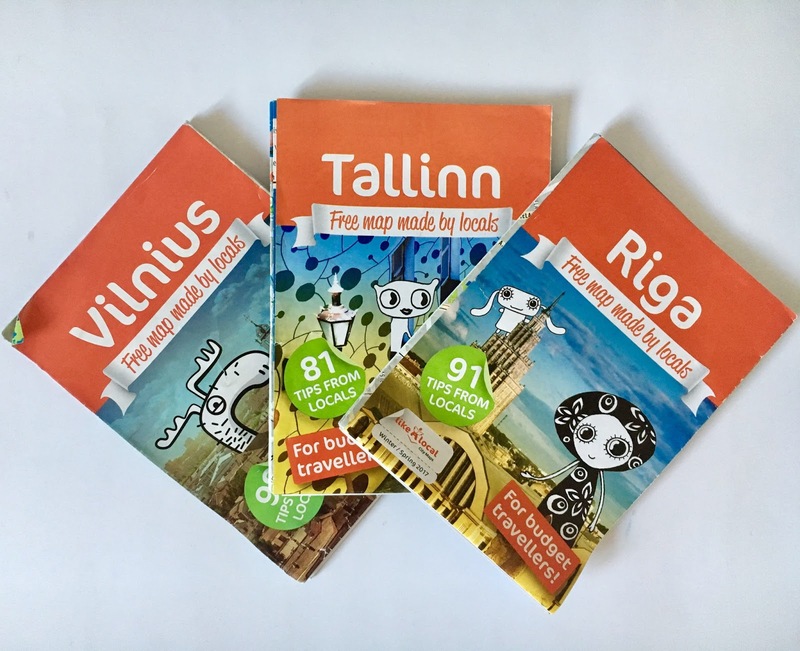 Lithuania, Latvia and Estonia each have their own two-sided custom tourist map that can be picked up at almost every tourist hot spot in the country. The with locals maps are basically a know-all quick and easy information hub for spending a few days in the city. Each map includes hostels and recommended places to stay, a few restaurants (budget and non-budget), popular bars and information of the tours and excursions. It also gives tram and bus routes for various locations in and close by each city. If you are heading to the Baltic region please do not hesitate to pick one up for free! The medieval city of Tallinn is a largest city in Estonia. Its proximity to the ocean, stone buildings, cobbled streets and city walls make The Old Town unique to the Baltics. 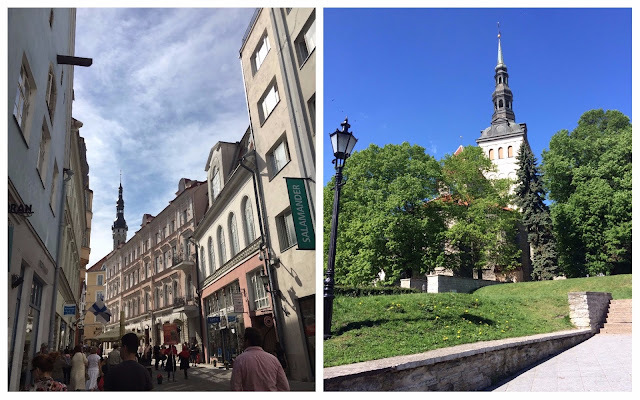 Not only is the city a short bus ride from the Gulf of Finland there’s a towering church spire on ever corner and a daily bustling market in the very heart of The Old Town of Tallinn. It’s not unusual to hear Tallinn be referred to as a Scandinavian wannabe. 80km from Helsinki (that’s a 2 and a half hour ferry to me and you) Estonians definitely don’t mind the stereotype. The cobbled streets of Old Tallinn are forever packed with tourists and the roads are lined with the coaches they arrived on. On two occasions in particular we were asked ‘Are you on the cruise?’. I’m going to assume that this is because the Scandinavia-Russia cruises now stop in Tallinn, Estonia. Although the presence of tourists brings any city to life it almost guarantees on other thing. You guessed it – inflated prices. Eating out in Tallinn isn’t cheap especially in the Old Town and for a budget trip your options are limited as you’re constantly competing with middle aged cruisers who think paying €30 for a burger and chips is okay. 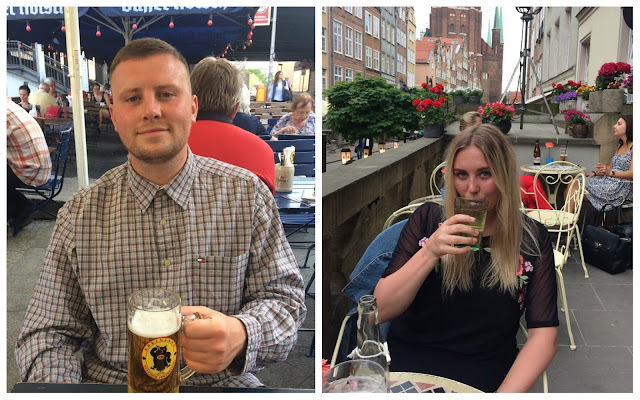 However, I wouldn’t describe any of the Baltic Capitals as budget friendly destinations, but as cities go there are always budget options to be found when it comes to eating and drinking. Fast food is aplenty in the Baltics and its often worth grabbing a pizza or burger on the go to save on food prices. When in any destination I’m always keen to check out the coast. 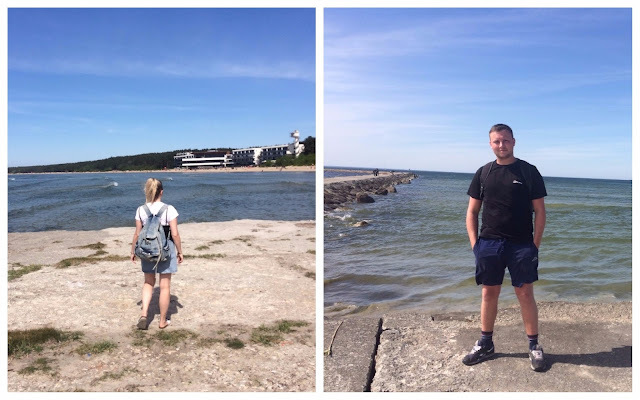 Tallinn was no exception and although the locals won’t always recommend a day at the beach I wasn’t going to let a few negative reviews ruin my beach day. From Tallinn to Pirita (the beach) with public transport is pretty easy. Like with Vilnius and Riga we picked ourselves up one of the free ‘with locals’ maps that are pretty much in every hostel, hotel and bus station in the area. Before we managed to find a bus stop displaying the 1A, 8, 34A and 38 heading to Pirita we realised we weren’t at all looking for a bus stop. In fact, we were supposed to be looking for a bus terminal. Which is underneath a shipping centre. Take note, all the buses leave from here. Once you find the main bus terminal (ask a local it will save you a lot of time) the bus takes around 20-25 minutes to get to Pirita. The white sandy beach is sat on a forest of pine backdrop. The water was a little too cold for swimming during our stay but that didn’t stop others. There’s toilets and amenities close to the beach including a water sports centre that offers windsurfing and sailing. There is also an unofficial stone pier at Pirita beach which gives you the opportunity to grab a glimpse of Tallinn’s Old City skyline and the many church spires. During the warmer months Pitita gets packed with tourists and locals all enjoying the warm rays of the northern sun. I’d definitely recommend the short bus journey if you have more than two days in Tallinn. As I mentioned earlier there are plenty of ‘out the box’ budget eating options in any city and Tallinn, Estonia is no exception. For Tallinn’s ultimate cheap eats check out Route 13 I can honestly say Route 13 is probably the best priced menu in town with two for one cocktails for the record breaking bargain price of €3.80. The menu at Route 13 is large and varied with lots of options even for veggies. The service can be slow and painful but the food is tasty for its price. You will struggle to find any eats in Tallinn as budget friendly as Route 13, it’s perfect for a mid day refuel. For pizza try Pronto Pizza €6-7 euros for a delicious pizza or Loca beside The Monk’s Bunk Hostel. Speaking of The Monk’s Bunk and getting back to why I loved my time in Tallinn, Estonia so much I should probably start with our accommodation. Tallinn’s number one party hostel. We arrived at The Monk’s Bunk one day early and luckily they had room for us. I certainly feel like it was destiny to arrive just in time for a wild weekend in Tallinn. I’m a big fan of staying in hostels and the hostel experience for meeting others and that was no exception in Tallinn when I was originally looking for hostels to stay at and found The Monk’s Bunk and as far as hostels go, I’d stumbled upon a tourist fave – always a winner. I must admit I’ve stayed at a lot of party hostels. I’ve even spent a few nights at some infamous hostels in Europe (Hans Brinker, Amsterdam to name one) but I have never felt more welcome than at The Monk’s Bunk. You are greeted by a smiling Mancunian and a shot of Black Balsams, a liquor available throughout the Baltics. Upon arrival at The Monk’s Bunk Tallinn you’re almost immediately told to sign up for that nights activity whether it’s a bar crawl or a beer pong tournament the rest is history. Our time in Tallinn was truly a lot of fun thanks to the great staff and guests at Tallinn’s number one party hostel – The Monk’s Bunk. If you come to Tallinn looking for a fun time and hope to meet some like minded travellers then I urge you to stay at The Monk’s Bunk. Book a large dorm and enjoy the endless evening entertainment. There’s even a communal kitchen for the ultimate budget experience! 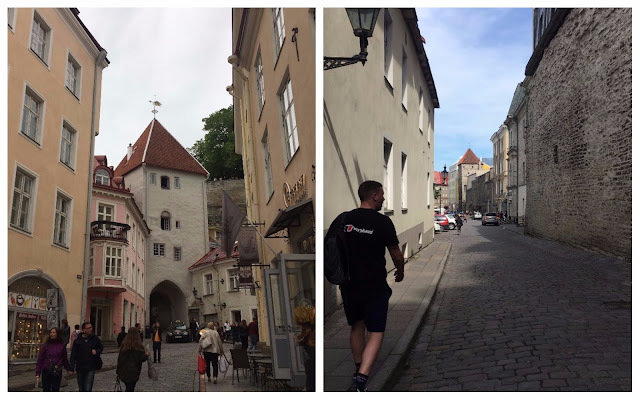 When spending an extended period of time in Tallinn, try the free walking tour, we missed out but heard great reviews from some friends at our hostel. Before your walking tour wander the Old Town streets yourself and find some of Tallinn’s real secret treats including some of the great viewpoints that look out over the city and demand the perfect photoshoot. Climb the bell tower of St. Mary’s Cathedral and enjoy all 69 meters of your journey to the top. Whilst exploring make sure you stop by the Alexander Nevsky Cathedral a breathtaking Russian Orthodox Cathedral just off the main tourist trail. 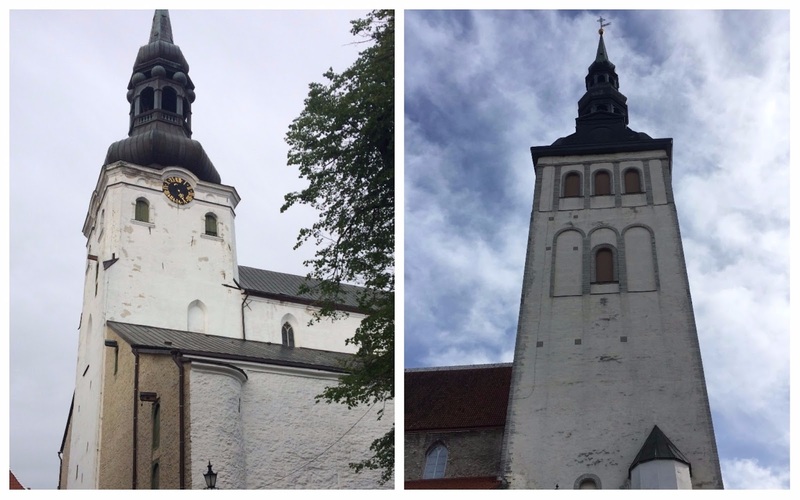 Whilst exploring the city why not check out the Estonian Architecture Museum or if Architecture isn’t your thing try Toompea Castle or the Estonian Maritime Museum. Alternatively, do as the stag dos in Tallinn do and test out many of the bars and clubs. During our Monk’s Bunk Bar Crawl – The Mad Monk’s Tallinn Pub Crawl we were able to visit Labor Barr a quirky science and chemistry themed bar with overpriced drinks and banging tunes. If you have a while in Tallinn don’t be afraid to hit the coast. Along with Pirita there’s Stroomi and Harku Beach on the banks of Lake Tallinn where the weather is much warmer than the coast. There is public transport that can take you to any of these locations – ask at your hostel or hotel for directions. We bought a Tallinn Pass a three day bus ticket for €5 from one of the kiosks just outside of Tallinn’s Old Town. I’d recommend this option if you plan on going to the beach and bus station. Stag do’s are popular in Tallinn, Estonia and the other Baltic countries and it is highly likely you’ll bump into a couple of groups of lads on a stag night in Tallinn. During our Baltics Road Trip this was a defining part of our travel as many hostels and locals are not too fond of stag do tourism in Tallinn. Although stag do’s aren’t always the best behaved in my eyes tourism will always be good for any economy. If you’re planning a stag do to Tallinn – please behave! As mentioned in my Lithuania Lux Express post – we travelled through the Baltics with Lux Express and were really pleased with the service, price, comfort and onboard entertainment (aka wifi and movies). If you plan on taking a similar trip with a route through The Baltic Countries I’d recommend this service. Money can be saved by buying tickets in advance online. Busy times fill up quickly and often there are few seats left. The main bus station in Tallinn is around a 20 minute walk from The Old Town. You can jump on several trams to The Old Town tickets aren’t checked regularly from what we experienced but as always the risk is yours. From a trip that began its life planning in a bar in Sofia, Bulgaria to our final night in Tallinn, Estonia before heading back to Riga to fly home. The infrastructure throughout the Baltic Countries means bussing to and from one country another is simple, cheap and actually very enjoyable. I can only imagine the introduction to more rail infrastructure and the Baltics Railway that will connect Lithuania, Latvia and Estonia will only make travelling this region even better. Our time in the Baltics wasn’t as budget friendly as we had hoped especially considering we arrived from budget-loving Poland. Although not the cheapest region of Europe to visit the Baltic States certainly has it all in terms of tourist offering. From cheese smothered beer snacks, golden sandy coastline to Pagan history and more. The Baltics should be top of any European city break bucket list. Our Baltic Countries Road Trip covered 5 countries originating in Germany and ending in Latvia to fly home. It took us 17 days and many busses to get from Hamburg to Tallinn, but I wouldn’t swap this adventure for anything. The Baltics are the one to watch as tourism to this region increases as it becomes more accessible through budget flights. I suggest you get there before everyone else does. Oh my gosh it's just beautiful isn't it? 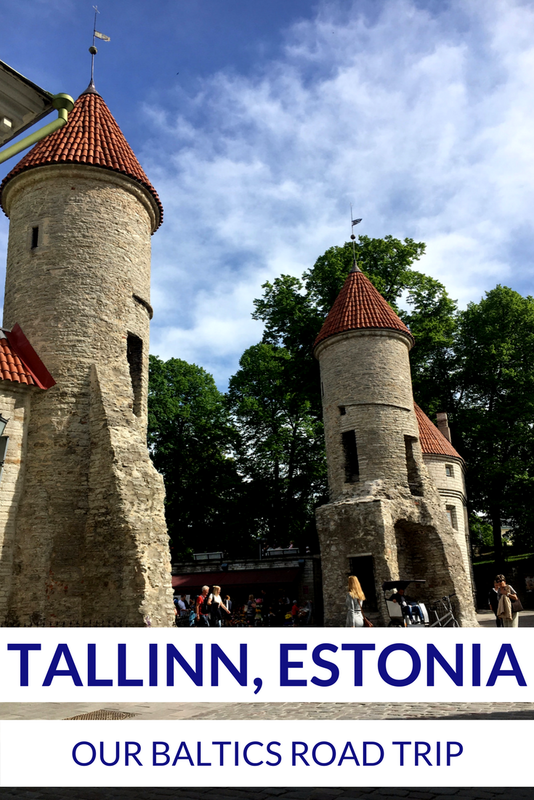 I went to Tallinn a couple of months ago and it was my first time in Estonia – I will definitely be going back, there's so much to see and do!